The difference between translators and interpreters: Which do I need? As a trusted translation company in Surrey, the team at Surrey Translation Bureau have noticed a lot of people getting rather mixed up when it comes to translators and interpreters; many simply do not know the difference between the two, and will often end up using the terms interchangeably (much to the chagrin of translators and interpreters alike!). So we thought we’d take the time to quickly explain what each entails – which should hopefully make things easier next time you need linguistic assistance! Translation and Interpretation are closely linked linguistic disciplines, but each requires a distinct skill set and offers a particular service to those who need it. To put it most simply, the biggest difference between the two is that of their medium: translators work with the written word, and interpreters with the spoken word (including sign language). Of course, things do go deeper than that. Due to this main difference, you’ll see translators and interpreters hone different sets of skills and approach their work using specific methods. Translators are not concerned with exact “word for word” translations of texts, due to the nonsensical results of attempts that aim for such things, and instead take the time to try and make the translated message as accurate to the original texts as possible, whilst still remaining understandable, as well as pleasant and easy to read. Translators usually have a more extended period of time to work their magic, meaning that certain turns of phrase can be debated upon and other texts and sources (including style guides, glossaries, and thesauruses) can be consulted to help shape the final translation. Interpreters, on the other hand, do not have the luxury of time and are in the position of having to translate in real time situations, such as during speeches, appointments, legal situations, and more. Interpreters need to be able to immediately translate what is being said in order to relay the gist of the message to the involved parties, in a way that is clear and understandable. Sometimes interpreters are not present face-to-face, but rather translate over the phone, making listening skills, clarity of voice and public speaking skills even more important for them. Translators and interpreters alike have specialities and areas of expertise, which you should always check before hiring either – for example, you would want to hire a translator with legal experience to work with legal documents, or an interpreter with business expertise to assist with board meetings. If you have realised that you don’t need an interpreter, but instead require the services of a translation company in Surrey who you can trust, Surrey Translation Bureau is here to help! Our team has experience in a broad range of languages, and you’ll be able to count on us whether you require search engine optimisation for Chinese audiences, something transcribed from Finnish, or something else entirely! Contact us today for more information, by filing out our contact form, phoning 01252 730 014 or emailing hello@surreytranslation.co.uk. Surrey Translation Bureau wishes ITI a happy 30th! On 11 June the Institute of Translation and Interpreting (ITI) hosted a lunch event at the Anthologist in London to celebrate its 30th anniversary. Over 150 members from the language services community attended the event. Everyone celebrated the ITI for reaching this major cornerstone in its long and successful journey. It was a very enjoyable afternoon with lots of delicious food and a mouth-watering cake. They even had a quiz! Our Head of Translations Hannah Stacey took part in the celebrations and enjoyed the good company of some like-minded people talking about our shared interests, workload worries and translation bugbears. While many joined in with the sweet sound of the ‘Singing translators’, some were involved in more serious discussions about the evolving translation technologies. The atmosphere was certainly buzzing! The ITI provided a really enjoyable platform for translation professionals to come together and talk about things that matter. The Institute of Translation & Interpreting was founded in 1986 as the only independent professional association of practising translators and interpreters in the United Kingdom. It has now grown to include over 3,000 members specialising in more than 100 languages and dialects from across the globe. No matter your industry, if you need information about translation services in the UK, ITI will have it. With its aim of promoting the highest standards in the profession, ITI has been the common ground for language service providers to promote the importance of translation in today’s world of growing global communications. Surrey Translation Bureau became a corporate member of the ITI on 29th October 2013. Since then, the association has proved extremely beneficial to our company and our translators. It has strengthened our clients’ trust in us. Our professional accreditation from the renowned ITI assures potential clients of the quality of our services. The entry requirements to become a member are quite challenging. What’s more, all ITI corporate members are required to adhere to its Code of Professional Conduct. This way the Institute maintains the highest professional standards. One big benefit of corporate membership for our company is the ITI’s invaluable linguist directory. It details all qualified and tested members, and is accessible to anyone searching for a translator on the ITI’s website. ITI also opens doors to opportunities for professional development and keeping pace with technology in the translation agency, through conferences and training events. Early last year, our in-house team went to one such conference held in Newcastle-upon-Tyne. In the words of our Resource Manager, Allison Spangler, it was the “Prom of the translation industry!” The conference was thoroughly enjoyable with a wide range of presentations, training, wellness activities and networking opportunities. From Allison’s point of view, events like these are a great place for language service providers like us to meet qualified and experienced freelance translators and add them to our team. It is also an excellent platform for translators to discuss industry standards and network with other linguists. We hope that there are many more anniversaries and other celebrations for the ITI to come. Here at STB, we have already started planning for next year’s ITI conference in Cardiff. We can’t wait! If you would like to know more about our association with ITI, why not email us today at hello@surreytranslation.co.uk or give us a call on +44 (0) 1252 733 999. We look forward to hearing from you! When our Senior Project Manager and Translator Alison announced that she was expecting a baby last year, I didn’t know at the time that this would also mark the birth of an exciting new opportunity for me. As a member of the in-house translation team since April 2014, with an MA in Literary Translation and ample previous experience of proofreading translations, I had always defined myself exclusively as a translator. I just couldn’t see myself working in any other role. However, after some deliberation and consultation with my colleagues, I soon came to realise that this didn’t mean I couldn’t add project management to my repertoire. In the end, I made the decision to join the project managers to cover Alison’s maternity leave, convinced that it could be nothing but a positive move, with plenty of benefits all around. With 18 months of in-house translation experience under my belt, I was able to embark upon the challenge of becoming a project manager with a comprehensive understanding of the entire translation process. I know first-hand what it means to be a translator and bring with me key transferable skills that include scheduling work, juggling multiple projects and working to strict deadlines. My previous industry experience also puts me in a particularly strong position when it comes to communicating with clients, as well as our extensive team of freelance translators and the members of the in-house translation team. With my direct insight into the different roles within the industry, I am able to confidently and knowledgeably answer any questions clients or suppliers alike may have about each and every stage of the translation process and ensure that everything runs smoothly from start to finish. The really wonderful thing about my new role is that I still manage to fit plenty of German to English translations around my busy project management schedule. I also devote a large chunk of my working day to quality assurance. This includes revising and editing translations to ensure they are of the highest standards. Many of my clients are based in Germany and Austria, so I make use of my linguistic skills further in client communications. I am always happy to answer clients’ questions in German, whether they come by phone or email. I can quickly respond to specific queries relating to translation content, whether these come from clients or fellow translators. Broadening my experience of the stages of the translation process has certainly helped me to become a better translator myself. My personal journey to discovering this rewarding combination role was one completed in clearly defined stages. However, all of our project managers are actually trained linguists with Masters degrees in translation. We are always keen to personally translate many languages including Italian, Spanish, Swedish, Finnish (and of course German!). Or at least, that is when we find time in our busy working days. With an incredible 35 years of project management experience between us and an in-depth understanding of every aspect of the translation process, you can rest assured that your translation projects will be in safe hands with Surrey Translation Bureau’s project management team. If you have any questions about the translation process, our team of Super Project Managers will be delighted to help and advise you. Why not email us today at hello@surreytranslation.co.uk or give us a call on +44 (0) 1252 733 999. We look forward to hearing from you! This December, Surrey Translation Bureau exhibited at Going Global 2015. Hosted by London Olympia, it was perfect for companies looking to expand internationally, export products or set up overseas operations. This is one of the first exhibitions we have exhibited at as a company, especially on such a large scale. We prepared carefully in the months leading up to Going Global. Although we didn’t know exactly what to expect, we thoroughly enjoyed meeting new potential clients and talking to the other exhibitors. Going Global took place alongside three other exhibitions; The Business Show, Business Startup and Techpreneur, in the impressive building that is London Olympia. The four exhibitions showcased a host of interesting businesses from start-ups who had designed innovative apps to larger companies such KPMG and Hewlett-Packard. It was great to have such large brands exhibiting alongside SMEs. Everyone was very friendly and keen to talk about their brand. It was the perfect atmosphere to network and meet new contacts! The show was attended by about 33,000 visitors, which made for two extremely busy days. At the STB stand, we met many interesting contacts from wine exporters to logistics companies through to tech companies. Many visitors complemented our stand, which we’d decorated with the word ‘hello’ in multiple different languages. They were impressed to hear that we translate into most world languages. We thoroughly enjoyed talking to companies who were taking the first steps in expanding internationally. It was great to explain how they would go about requesting translations with us to help their business grow. Over the two days, we ran a competition which gave our contacts the chance to win £200 worth of translations for their first order with Surrey Translation Bureau after exchanging business cards with us. This opportunity was taken up by many and was just about as popular as the purple STB-coloured chocolate éclairs we offered to visitors! Coming back with a stack of cards, we drew the winner earlier in the week. Airport2lodge was the name out of the hat – we look forward to delivering their first translation. ​As well as a vast array of exhibitors, there were some informative seminars. These were targeted at helping companies, particularly SMEs, to lay the foundations for expanding their business internationally. Speakers offered advice on entering markets such as Eastern Europe and BRICS (Brazil, China, India, Russia, South Africa). There were also talks on the importance of social media in helping customers to recognise your brand. It’s important to have the resources to maintain these networks, to answer customers’ questions and update clients on your company’s developments. If you needed a reminder that the world is becoming ever more connected, Going Global was the perfect illustration. 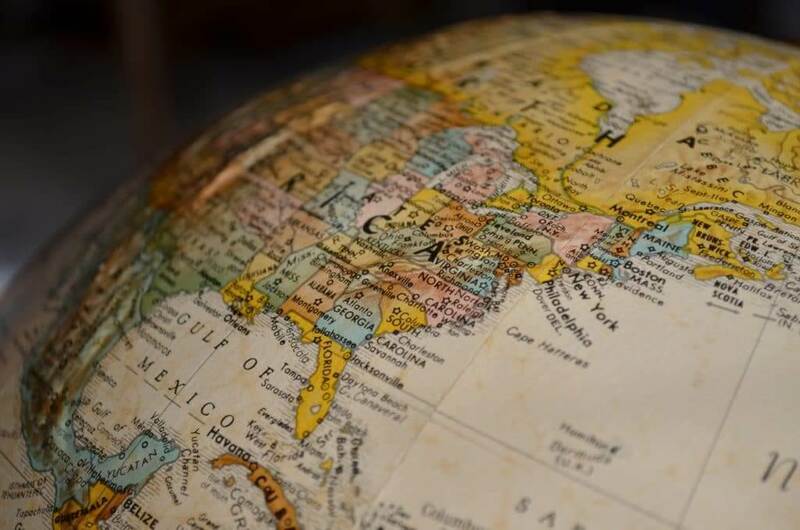 As many more companies enter international markets and businesses step up the number of countries they are operating in, the need to communicate with clients in their own language is increasing dramatically. We took a lot of requests for website translation when talking to visitors during the exhibition. A great way to reach clients is identifying certain countries where there is potential growth for your company. After two very successful days at London Olympia, we packed up our stand and headed back to Farnham, delighted to have met so many businesses keen to expand internationally. We’re looking forward to quoting and preparing translation proposals for some of these new and diverse contacts. Do you want to follow in the footsteps of the clients we met at the exhibition to help your company go global with translations? Contact hello@surreytranslation.co.uk today to request a no-obligation quote. 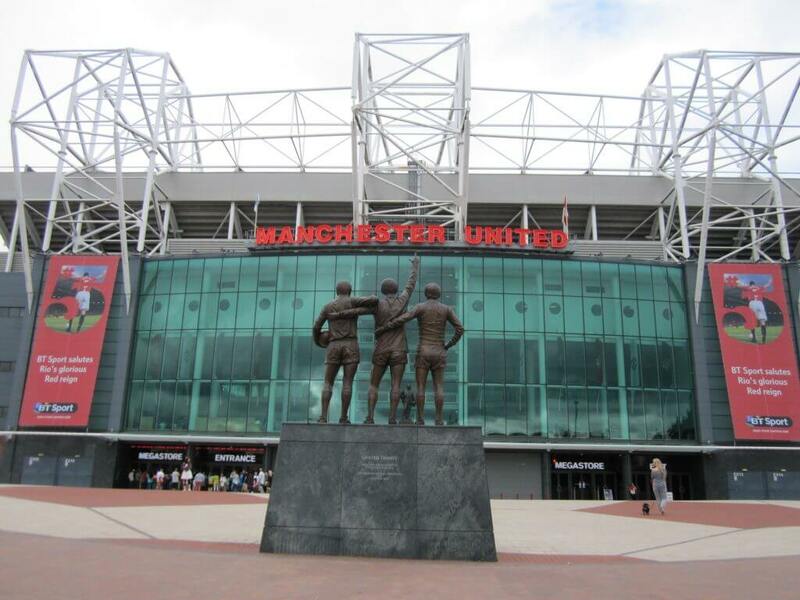 This September, Surrey Translation Bureau attended the 2015 Association of Translation Companies conference at Manchester’s prestigious Old Trafford stadium. 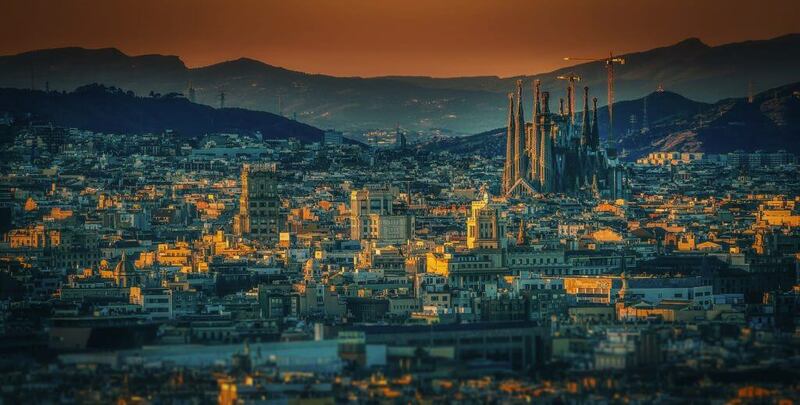 As well as offering us the chance to meet up with other language service providers from all over the world, the ATC conference featured presentations on a wide range of topics relating to the translation industry. This year, the word on everyone’s lips was ‘innovation’. The translation industry is currently in a state of transition, with the emergence of new technologies paving the way for new methods of working, which contrast greatly with what used to be the norm. 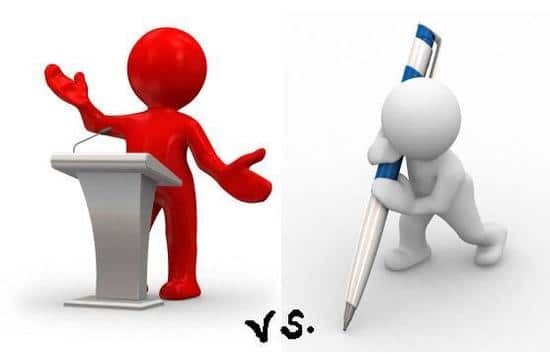 With so many of the speeches and stands at the event dedicated to new translation technologies, it is almost hard to believe that within relatively recent memory a translator’s tools consisted solely of pens, paper and a library of dictionaries – times have certainly changed. In any industry, change can be an alarming and powerful force, and some of the messages that seemed to resonate most strongly came from speakers who looked to other industries. The impact of technology in these fields was tracked, as well as the paths that the successful companies of today took when their industries experienced rapid periods of change. Whether it was Paula Shannon mapping out technological trends by examining the role of clocks through the ages, Tony O’Dowd providing insights into the creative business plans of budget airlines and E-commerce companies, or Richard Brooks drawing on examples from British department stores, wine merchandising and even top of the range jet engines, comparisons such as these were a frequently recurring theme. The overriding message was that companies can stay ahead of the curve by thinking creatively and being prepared to adapt. This was neatly summed up by Diego Bartolomé at the end of his presentation on the future of the translation industry: “evolve before you have to.” None of the speakers backed away from the challenges that translation companies currently face and a positive tone was apparent. Alongside this fascinating food for thought, there were a number of presentations focusing on topics already close to STB’s heart: maintaining strong relationships with freelance translators, ISO standards, effective management of translation supply chains, working with universities to nurture the next generation of translators and multi-channel social media marketing. Not to mention a dinner featuring a charitable collection for Translators Without Borders – a fantastic cause of which STB is already a proud sponsor. The two-day conference was concluded by a compelling report into the UK translation industry’s landscape, based on data collated and analysed by the ATC itself. The overview provided some fascinating statistical insights, and we’re looking forward to getting our hands on the full report. With that, we headed back due South towards home, pleased to have had so many of the things we do everyday affirmed, and full of ideas on how to continue our growth as a company. If you would like to read more about the ATC conference, take a look at the #ATCConf15 hashtag on Twitter. Are you interested in learning more about the translation process and how we can make these innovations work for you? Why not contact hello@surreytranslation.co.uk for a quote?